What are the standard baby hat sizes and what do you need to consider when you are going to crochet a hat for a baby? Let's start with the head size and the dimensions noted as preemie, newborn, baby, and toddler. Then see how to measure head sizes. Finally, why the finished hat will have a smaller circumference measurement than the head size, allowing for negative ease. Head sizes will vary from person to person, including babies. If you are going to knit a hat for that special little one, you may want to measure to be sure what size range you should make your hat project. To measure head size, wrap a flexible tape measure (cloth or plastic) around the widest part of the head, over the hair (such as the baby may have), but above the ears. The tape measure should be snug. If you don't have a flexible tape measure, use a string or cord that isn't stretchy, and then measure that against a stick measure, ruler, or another measure you have handy. Hats are made with something called negative ease. Negative ease is a sizing term that means the finished measurement is smaller than the actual measurement. In this case, the band of the finished hat is smaller than the head size. You can see where this is taken into consideration in the "finished hat circumference" column of the chart. It's smart to use less negative ease when making hats for babies and children than for adults. The reason for this is a baby’s tendency to grow at a surprising rate. You spent quality time making that hat, so you’ll probably want to make sure it fits for more than a day. For a baby, the finished circumference should be closer to their actual measurement than it would be for an adult hat. If your baby has a current head size of 15 inches and you make a hat that fits with no ease, using the exact measurement, then you’re ensuring that the hat can be worn until baby’s head reaches 16.5, or perhaps even 17, inches circumference. Another consideration is that you don't want the hat to fit too tightly on the baby's head while their skull is still growing. 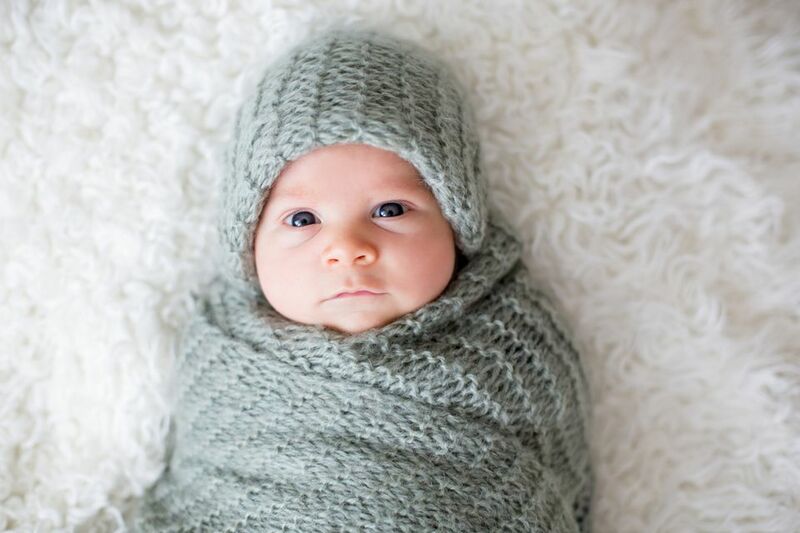 While it is probably a minor risk, it's best if the hat is just snug enough to stay on but not so tight as to constrict the baby's head growth.